We’re very excited to announce that our chief executive Deborah Alsina MBE has been named Charity Chief Executive of the Year in the Third Sector Excellence Awards 2017. 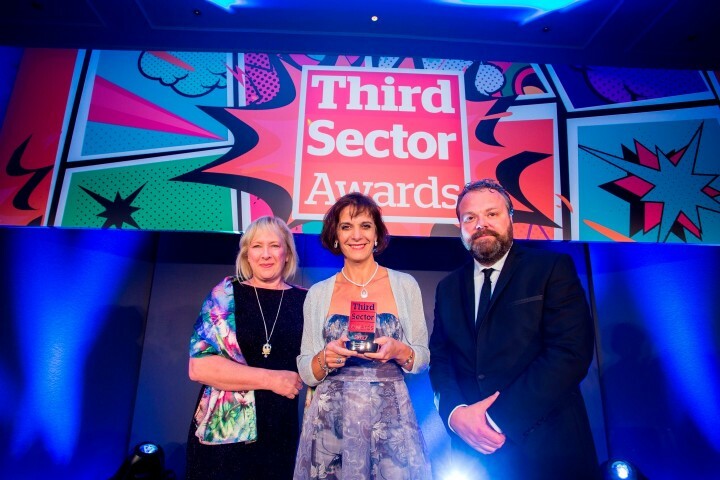 This award is given to a charity’s chief executive who the judges believe has consistently delivered excellence, dedication, innovation and commitment to the charity and the sector. One of the judges on the panel, Claire Horton, Chief Executive of Battersea Dogs & Cats Home, said: "Deborah demonstrates a collaborative and visionary approach to working and has brought success to the charity".